During a debate hosted by the Dakota County Regional Chamber of Commerce, the moderator asked the candidates to simply state “yes” or “no” in response to the question. “No,” incumbent Rep. Jason Lewis (R-MN-02) replied, while Craig was booed for protesting the question. “That’s not fair. I will add ‘yes’ or not at the end,” she replied to audible jeers from the crowd in attendance. “If you index the minimum wage from $7.25 to today, it’s around $12.80. I support working toward a federal minimum wage of $15 an hour, yes,” she stated. The Lewis campaign capitalized on the misstep and has been tweeting out “yes” or “no” questions for Craig to respond to ever since. “After three debates, Angie Craig still can’t answer ‘yes’ or ‘no’ on the key questions of the day. 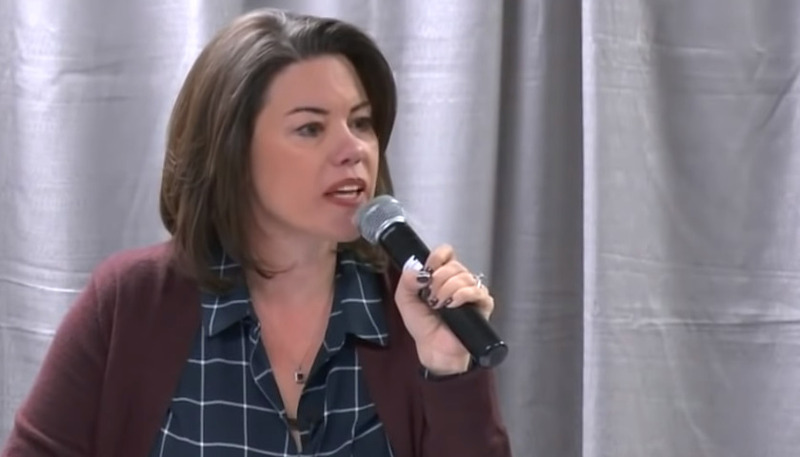 From now until election day we’ll be picking an issue that voters in MN-02 care about and ask the DFL candidate one more time if she’s made up her mind,” the Minnesota Republican Party tweeted Wednesday. "After three debates, Angie Craig still can’t answer ‘yes’ or ‘no’ on the key questions of the day. From now until election day we’ll be picking an issue that voters in #MN02 care about & ask the DFL candidate one more time if she’s made up her mind." Craig’s campaign has ignored the requests, and is currently participating in the Democratic-Farmer-Labor (DFL) Party’s statewide bus tour. “It goes without saying that the first job of any public official is to tell their constituents how they plan to govern—and that’s why Jason Lewis has been forthright on where he stands right from the start,” the Lewis campaign said in a Thursday press release. The Democrat’s perceived slip-up follows a similar miscue from DFL gubernatorial candidate Tim Walz, who was attacked by his opponent last week for flip-flopping on the issue of a statewide minimum wage increase. “I support a $15 minimum wage. I voted for a $15 minimum wage in Congress, and would be proud to sign it into law if it came to my desk as governor,” he clarified later in the day. The DFL doesn’t have an official stance on a $15 minimum wage, but simply supports a “minimum wage that keeps pace with inflation and provides full-time workers with an income above the poverty level,” according to its party documents. Did Tina Smith Say She Supports the Border Wall?